Don’t trust or sign up at Rocket Laywer (www.rocketlawyer.com)! I was an idiot who didn’t know any better. I signed up to get access to some free forms to use for my business and it turned out to be a total scam! They’ll collect your credit card info and promise you NOT to bill anything but instead, they will take out $30-35 USD every month from your account! They won’t invoice you or send you an emails to know you’re being charged. ARGH…absolute scammy ripoff! Good luck trying to cancel from their website. When you log in, there doesn’t seem to show any charges anywhere or any place to cancel. I had to complain on their Facebook profile page and threaten to leave negative reviews everywhere. That’s when one of their people contacted me and refunded my money. TrustPilot – don’t be fooled by the good ones, pay attention to the bad ones! 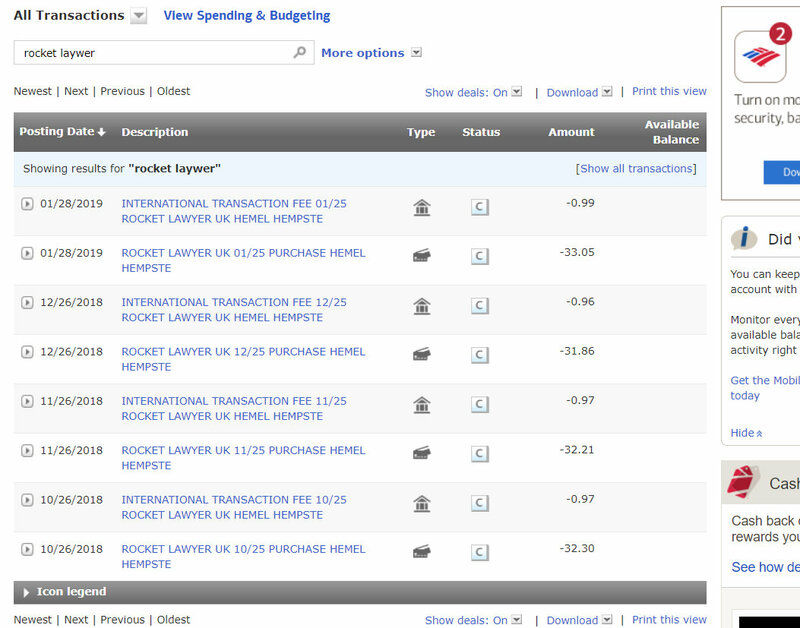 Here are the charges showing from my bank account. Money taken out for 4 months. Can you imagine if I I never noticed? Look here on their website. Doesn’t show anything in the billing history so you have absolutely no idea you’re being charged. Next Next post: How to get early access to Cloudflare QUIC?